There was an exciting sequel to our Moths of Victoria presentation on 27th May. As many of those who attended will be aware, a member of the audience brought along a substantial collection of moths and other invertebrates assembled by his father in Flowerdale some years ago. The valuable collection was generously donated to the Melbourne Museum and delighted the presenter Peter Marriott. 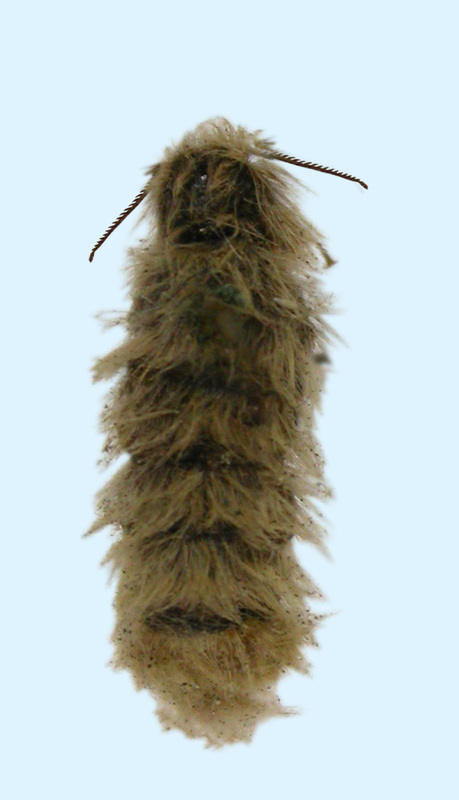 Peter’s joy was complete when he discovered in the collection a female of the Tiny Tussock Moth – Oligeria hemicalla – that was not previously recorded in this district, and is probably the only specimen in any collection. The flightless female is shown at left. Any observations of the moth, and particularly photos of the caterpillar, in the Flowerdale/Strath Creek area would be very welcome. 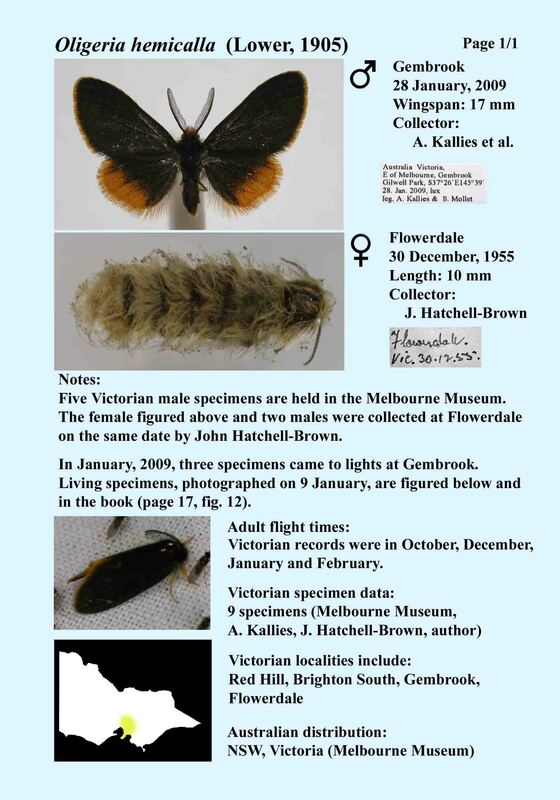 The discovery of the female Oligeria hemicalla has necessitated an update of Peter Marriott’s Moths of Victoria Part 2. The revised page on the book’s accompanying CD is shown below.